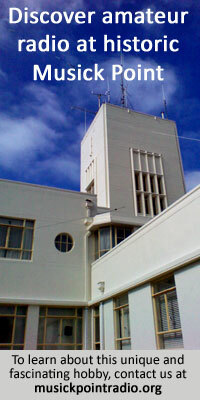 Around 1967, training for NZPO radio techs was shifted to the Polytechs around New Zealand and courses were no longer exclusively for Post Office staff. At Wellington, the courses of six weeks duration were shared among three or four instructors. This was likely the case at other places as well. Because the trainees came from a wider group, the courses had to be more general. I personally preferred the more focused NZPO training courses. See the 1985 Syllabus for the Technicians Certificate (Radio). It’s hard to believe that most of these trainee techs would have retired by now. And, as there has been no industry training since around 1987, all this expertise is now mostly lost. If you can identify any of the unknown people in these photos, or have other information about New Zealand Post Office radio training schools, please contact the editor.